Outfit Of The Day! Mixing Prints! 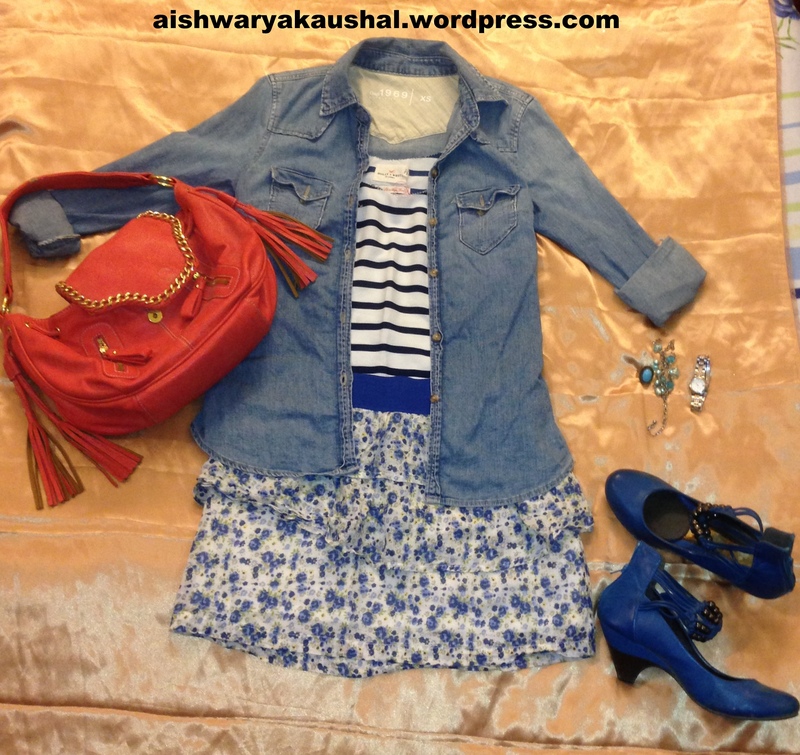 Striped Tank, Floral Skirt, Chambray Shirt, Blue Shoes, Orange Bag! Remain in the same color palette. Pairing prints of clashing colors together can be a bit of a challenge. Choose prints that are complementary and not overpowering. I have used thin strips with light florals. Thick strips with light florals would look imbalanced and so would thin stripes with huge flowers. The key is to create balance between your upper and lower body!